Also known as Eva Hitler, she was the companion and brief wife of Nazi dictator Adolf Hitler. They were married for less than 40 hours. She worked as an assistant for Nazi photographer Heinrich Hoffman. 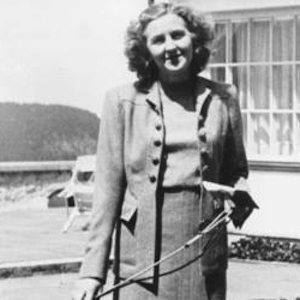 She committed suicide with Adolf Hitler on April 30, 1945. She was born as the second daughter to Friedrich Braun and Franziska Kronberger. She married Adolf Hitler on April 29, 1945. Her sister Gretl was married to Nazi officer Hermann Fegelein, one of Hitler's right-hand men.